← Vegan Advocacy: On the Verge of a Breakthrough? Does Jonathan Safran Foer believe it’s OK to kill animals? During a Webinar put on by the group Farm Forward, The Beet-Eating Heeb this month finally got an opportunity to ask author Jonathan Safran Foer the question that he had been dying to put to him. Well, maybe “dying” is a poor choice of words. My fellow Jew, BEH asked, do you think it’s morally OK for humans to kill animals for food? His answer was profoundly disappointing. Disillusioning in the extreme. What? The matter of killing sentient beings for food “doesn’t really matter”? It’s “least relevant”? This, from the sensitive soul and gifted writer who wrote “Eating Animals,” the book that has probably created more vegans than any other written work in history? The veg advocacy movement can ill afford to engage in internecine warfare, outnumbered as we are by the forces that are promoting meat eating. So The Beet-Eating Heeb will try to engage in some self-restraint (wish him luck) as he critiques Safran Foer’s answer. To state the obvious, the issue is of ultimate consequence and of grave concern to farm animals, who literally moan, bleat and otherwise beg for their lives. It’s one thing for their desperate but futile pleas to fall on deaf ears within the blood-soaked slaughterhouse. It’s quite another for these innocent animals to find a heart of stone inside the likes of Jonathan Safran Foer. However, while his answer certainly seems surprising, even bizarre, it’s actually exactly what you would expect – when you consider the morally hypocritical corner that JSF has painted himself into. Much to the chagrin of his legions of vegan fans, Safran Foer has firmly hitched himself to the “humane” farming movement. This movement, of which Farm Forward is a part, maintains that it’s OK to slaughter animals, as long as you raise them in a humane fashion. It’s a response to factory farming. Click on the photo to see JSF selling chicken. Safran Foer discussed this movement in “Eating Animals” with a glowing profile of Niman Ranch. Since the release of the book, he has become a spokesman for Farm Forward, even doing a YouTube video that endorses consuming poultry. The problem with Safran Foer, Farm Forward and the rest of the “humane” farming movement is the contradiction inherent in their position. Please explain to The Beet-Eating Heeb how you can care about an animal’s welfare for a few years, then turn around on a day of your choosing and stick a knife into the innocent creature’s throat. The Beet-Eating Heeb, as all Jews should, finds this Jekyll-and-Hyde type of morality to be troubling, even scary. BEH favors a transcendent, consistent morality. This whole “humane” farming movement reminds The Beet-Eating Heeb of the parable of the woman who rescued an injured rattlesnake and nursed it back to full health. For the next few months, the snake would curl up in the woman’s lap as she watched TV at night, just like a pet cat. Then one night, out of the blue, the rattlesnake lifted its head and plunged its venomous fangs right into the woman’s neck. “My God, how could you do that to me, after we spent all these nights together?,” the woman gasped as she died. Jonathan Safran Foer has aligned himself with the snake, metaphorically speaking. Given all this, his answer to BEH’s question isn’t surprising, after all. He has put himself in a position where he can’t say killing animals for food is wrong. But nor, given his obvious concern for animals, can he say it’s OK.
Characterizing the question as irrelevant was just a way of dodging it. Given the morally untenable position he has staked out, he didn’t have any good options when confronted with BEH’s query. Dismissing the question as frivolous, as he did, might very well have been the least bad option for him. Of course, Safran Foer is entitled to believe and espouse whatever he wants. But BEH, as a big fan of his book “Eating Animals, would ask him to reconsider his ties to the “humane” farming movement and give animals the moral consideration they deserve – every day and always. 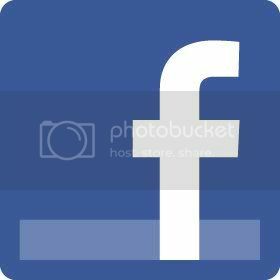 Posted on October 24, 2012, in Book Reviews, Factory Farming / Animal Cruelty, Jewish Vegans and Vegetarians and tagged Beet-Eating Heeb, chickens, Eating Animals, Farm Forward, Jonathan Safran Foer, Judaism, vegan. Bookmark the permalink. 22 Comments. I would really hate to possess JSF’s disjointed “logic”. “The matter of killing sentient beings for food “doesn’t really matter. It’s “least relevant”. Then 15 seconds into his promo-video he states “The food choices we make have very serious repercussions in the world. Not only for the animals… (blah, blah)” Well – Which is it??? Talk about keeping consumers confused! It’s evident that for the purposes of Farm Forward’s agenda, disqualifying and ignoring the frivolous harm done to nonhumans is what’s necessary. It’s just an advertising ploy to support the same old unnecessary habit of flesh consumption. Only now consumers who don’t/won’t go vegan, but can’t afford “high-end” meat can feel guilty while they continue to buy the factory farm versions. Wow! What an ineffective, twisted strategy. Hey! I recently found your blog and am SO inrtteseed to check out this book! I was vegetarian for about 10 years and then started to eat chicken/fish again in my mid-20s. I am currently sort of in between. . .I eat mostly vegan most of the time, but I do occasionally eat a piece of wild fish etc. The horrors going on in our industrial food system are VERY scary, so I try to make conscious decisions about what to put in my body. My hubby, on the other hand, eats pretty much everything but I’ve finally gotten him to switch over to organic dairy and humane eggs. I actually think grass-fed,organic beef and poultry can be very healthy choices if you feel the need to continue eating animals they’re just VERY expensive to purchase on a regular basis. Friends, consider the following scenario. You’re peering inside a warehouse, a slaughterhouse, rodeo grounds, whatever. You recognize someone—it’s your animal advocate friend. She seems to be participating in the enterprise. What the hell?!? But wait a minute. Maybe she’s getting undercover footage. She didn’t tell you her game plan ahead of time, but yeah, there’s a reason why she’s doing what she’s doing. You hope. I have yet to meet an animal advocate who doesn’t appreciate what undercover investigators do. There are many of us who couldn’t stomach the work ourselves (as it involves repression of one’s compassionate nature, duplicity, even participation in what is morally repellent). But we all understand that these individuals are making significant personal sacrifices for a greater good, right? I’m just suggesting that people might stop fretting so much about how so-and-so’s selling out, or how disappointing or outrageous is the such-and-such pitch for more “humane” farming. Maybe some of these folks really like the vision of a future where animals are treated nicely, then they’re killed to be eaten. Maybe not. I don’t know. I don’t know any of them personally. Listen, I understand the upset reactions to the individuals and organizations who appear to support “happy meat.” I’m suggesting there are better ways for us to spend our activist time/energy than complaining about them. Realize that promotion of happy meat may be strategy, in some cases. I think we can best oppose “happy meat” by educating consumers, creating more vegans, raising awareness about carnism. Does that make any sense, I hope? I think I can see where Jonathan Safran Foer is coming from. In one of his interviews (i cant remember which one) he says that he is not concerned with questions about whether it acceptable to eat meat in extreme cases, (e.g. If the only alternative was starvation etc). He is concerned, however, with questions that reflect real life, like whether it is ok to eat meat when there are 6 billion people on earth and plenty of healthy and tasty alternatives. This, I feel, was the point he was trying to make. I think he just wasn’t as clear as he could have been. I also think he is trying to paint himself as reasonable to non vegetarians. This is I think why he is endorsing some ‘less bad’ (I don’t want to say ‘better’) types of farming. In that same interview he said that it would be naive to think that most people would wake up one day and become vegan. He thinks it will happen in more of a slippery slope way. People will start off as McDonalds eaters, then become conscious omnivores, then flexitarians, then vegetarians and then vegans. He said the world needs more conscious omnivores at the moment. I can definitely see problems with this approach (especially because people who buy from small scale farms will think that they are already doing enough and this might prevent them from even considering a vegan diet), but it does seem easier to swallow for those who aren’t yet open to the idea of veganism. I think he is still on the side of the animals, but he is just choosing his battles differently. Well that’s my interpretation anyway. Here’s a different take: a person has 4 chickens in her yard whom she rescued from slaughter and currently provides her with eggs. she cannot take more than 4 chickens. when these chickens stop producing eggs — she can either let them live out full life (6-10 more years) and die of ‘natural causes’ (cancer, tumor, disease, heart stoppage, predator entering yard) or she can ensure a quick and dignified death, and save 4 more chickens from slaughter and give them years of comfortable life. From an animal welfare perspective, ensuring the quick and dignified early death of the chickens allows for many more rounds of other chickens to be spared the horror of transportation, congestion, and industrial slaughter. what to do? Also, how doe BEH address those religious persons whom believe that Gd gives permission for humans to use animals in concert with their obligation to care for the animals’ well-being? Sacrifices, means of labor, transportation and even consumption are all permitted by the Bible under strict regulations. Granted, the regulations are being ignored but in theory the activity of animal use for human benefit is permitted. To the religious mind, the answer cannot simply be — the Torah instructions are ancient and no longer relevant/applicable — how to address that community in a way that it can hear and relate to the issues? p.s. a good writer of what is just and moral does not define that person as just or moral. In Judaism, actions are much more important than words and by such criterion JSF is a sensitive writer, but not necessarily a person of sensitve character. Rabbi Frank, thank you for your thoughtful comments and questions. In the hypothetical case of the chicken sanctuary, BEH takes the position that the value of the hen’s life is intrinsic as one of God’s creatures, not based solely on her egg-laying capacity. Only if the hen were suffering from a painful, irreversible disease or injury could one justify killing it. As for using animals for labor, BEH acknowledges that it’s permitted, if it fulfills a real need and if the animal is treated with compassion. BEH, your comments are also thoughtful and I appreciate them. To push a bit further, does the argument of ‘the greatest good for the greatest number’ have any place of influence in your perspective regarding animal welfare? I’m a board member of a dog/cat rescue facility. For each animal that is unadoptable (due to various reasons of aggressiveness and the like) but that is maintained — each month other animals who can be placed in homes are turned away to be killed by municipal vet services. Better to sustain one dog’s life than to offer futures for dozens of others? Also, you argue above for euthanasia of an animal — such a position is one of animal welfare but not animal rights, am I correct? BEH focuses on farm animals and is not as knowledgeable about dog and cat shelters. At first blush, he would say it seems that the principle of “the greatest good for the greatest number” is applicable. In cases of true euthanasia that are intended to relieve irreversible suffering, BEH would say the distinction you make is not applicable. Obviously the concept of animal welfare can be invoked, but BEH would say that euthanasia also represents human beings’ best effort to discern the desires of the animal, and is thus consistent with animal rights. In Jewish terms, BEH favors the liberal interpretation, which states that euthanasia is permitted and even laudable in cases of extreme physical suffering. If the principle of greatest good for greatest number is applicable, then in hypothetical chicken case she should give dignified death to current 4 chickens and save others. I won’t push back on the euthanasia matter being a ‘rights’ or ‘welfare’ issue as your acknowledgement of use of animals for labor is an even stronger argument for welfare rather than rights. I have no intention of defending the character-less non-answer of JSF regarding the morality of killing animals (yes or no could both be answer of character), but part of his response is one that is made from a standpoint of welfare and not rights — a position that is supported by Jewish sources though trampled by current realities. Is the commandment to give animals a day of rest on Shabbat a matter of welfare or rights? Rights and welfare are concentric circles, with rights lying within the welfare circle. So often there is no distinction. There exists the obligation to give tzedakah, but there is no ‘right’ for a poor person to receive tzedakah. Judaism is focused on human responsibility and obligation — not on ‘rights’ of those who benefit from the fulfillment of others’ obligations. I believe giving animals a day of rest on shabbat is out of concern for the welfare of the animal — but not because the animal has the ‘right’ to rest from sundown Friday to stars-out Saturday night. There is a big difference and distinction between welfare and rights both in secular parlance and Jewish parlance. In Jewish parlance, animal ‘rights’ do not exist. The challenge for us who see the mistreatment of animals as a violation of Torah and Jewish ethics is to be able to recognize and communicate such a distinction using the sources and language of our Tradition to show that fulfillment of Jewish responsibility is to ensure the welfare of animals under our dominion. In purely Jewish terms, you are correct and we agree. I read an article by JSF just after “Eating Animals” came out. I am not at all surprised by this backward movement. He said himself that throughout his life, he was sometimes vegetarian, sometimes not and he was very vague about being vegan. His inconsistencies must be very confusing and misleading to his unarguably large fanbase. In fact the article put me off reading his book. I am very disappointed to see that JSF moral dodging has continued after his initial alliance with Farm Forward. I was hoping that he would admit to the bankruptcy of FF but, alas, it sounds like he has continued on this path. If asking whether it’s morally decent for humans to kill animals for food is “irrelevant,” than I don’t know what would be relevant to the author of Eating Animals. Sad to see that the sliding down the slippery slope of moral equivocation continues but that is one of the promises of FF and the “humane” animal products industry. Just out of curiosity, what does Foer think is the MOST relevant to the choices we make on a daily basis? Does he elaborate? I presume we are talking about food choices. Good question. You would have to pose that to JSF himself. Just out of curiosity, what does Foer think is the question MOST relevant to the choices we make on a daily basis? Did he elaborate? As president of Jewish Vegetarians of North America, I commend the Beet Eating Heeb for this thoughtful analysis. 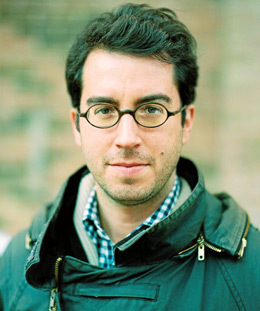 While Foer is to be commended for his overall efforts to promote more compassionate eating, his response to the question addressed to him ignores that (1) animal-based diets are a major factor behind the widespread diseases that are afflicting the Jewish and other communities, (2) animal-based agriculture is a major contributor to climate change and other environmental threats to humanity and all life on the planet, and (3) the production and consumption of meat and other animal products violate basic Jewish mandates to preserve human health, treat animals with compassion, protect the environment, conserve natural resources, and help hungry people.